While the news about red wine might sound great if you enjoy a glass of red wine with your evening meal, the doctors are wary of encouraging anyone to start drinking alcohol. That’s because too much alcohol can have many harmful effects on your body. Still, many medical professionals agree that something in red wine appears to help your heart. It’s possible that antioxidants, such as flavonoids or a substance called resveratrol, have heart-healthy benefits. Antioxidants in red wine called polyphenols may help protect the lining of blood vessels in your heart. A polyphenol called resveratrol is one substance in red wine that’s gotten attention. Resveratrol might be a key ingredient in red wine that helps prevent damage to blood vessels, reduces low-density lipoprotein (LDL) cholesterol (the “bad” cholesterol) and prevents blood clots. Most research on resveratrol has been done on animals, not people. Research in mice given resveratrol suggests that the antioxidant might also help protect them from obesity and diabetes, both of which are strong risk factors for heart disease. However, those findings were reported only in mice, not in people. 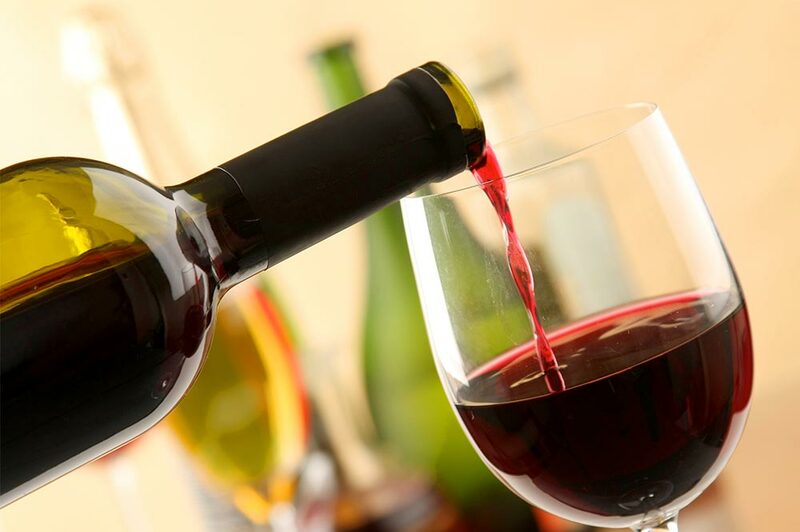 In addition, to get the same dose of resveratrol used in the mice studies, a person would have to drink more than 1,000 liters of red wine every day. Research in pigs has shown that resveratrol may improve heart function and increase the body’s ability to use insulin. Again, however, these benefits have not been tested in people. Some research shows that resveratrol could be linked to a reduced risk of inflammation and blood clotting, both of which can lead to heart disease. More research is needed before it’s known whether resveratrol was the cause for the reduced risk. However, one study showed that resveratrol may actually reduce the positive effect of exercise on the heart in older men. It’s also important to know that resveratrol’s effects only last a short time after drinking red wine, so its effects may not last in the long term. Other foods that contain some resveratrol include peanuts, blueberries and cranberries. It’s not yet known how beneficial eating grapes or other foods might be compared with drinking red wine when it comes to promoting heart health. The amount of resveratrol in food and red wine can vary widely. Resveratrol supplements also are available. While researchers haven’t found any harm in taking resveratrol supplements, most of the resveratrol in the supplements can’t be absorbed by your body. Alcohol can be addictive and can cause or worsen other health problems. Drinking too much alcohol increases your risk of high blood pressure, high triglycerides, liver damage, obesity, certain types of cancer, accidents and other problems. In addition, drinking too much alcohol regularly can cause weakened heart muscle (cardiomyopathy), leading to symptoms of heart failure in some people. If you have heart failure or a weak heart, you should avoid alcohol completely. If you take aspirin daily, you should avoid or limit alcohol, depending on your doctor’s advice. You also shouldn’t drink alcohol if you’re pregnant. You should ALWAYS consult with your personal physician, with questions about the benefits and risks of alcohol!!!! And remember it is all about MODERATION….